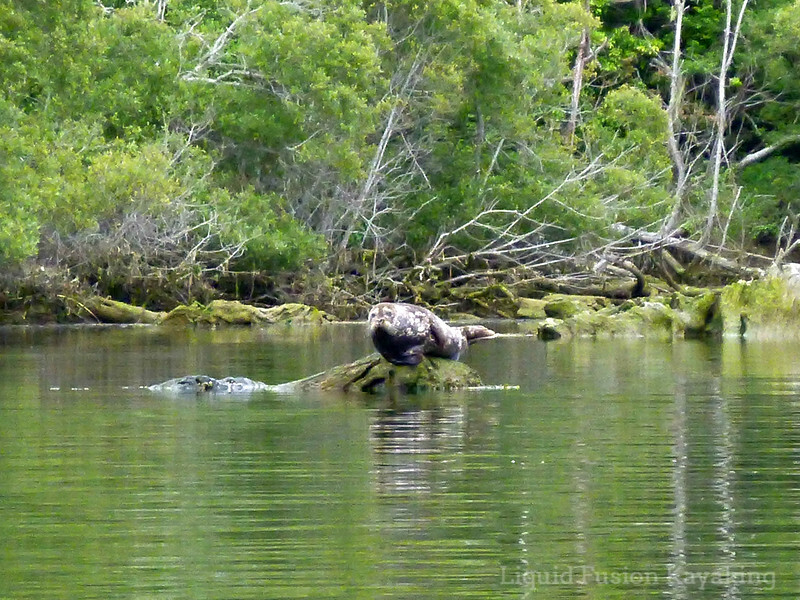 Liquid Fusion Kayaking: For the Birds . . . or the Cookies? The rumors are true. Liquid Fusion Kayaking has gone to the birds. Yesterday, I was in a meeting and someone commented, "You know - Cate is quite the bird nerd." Yes it is true. 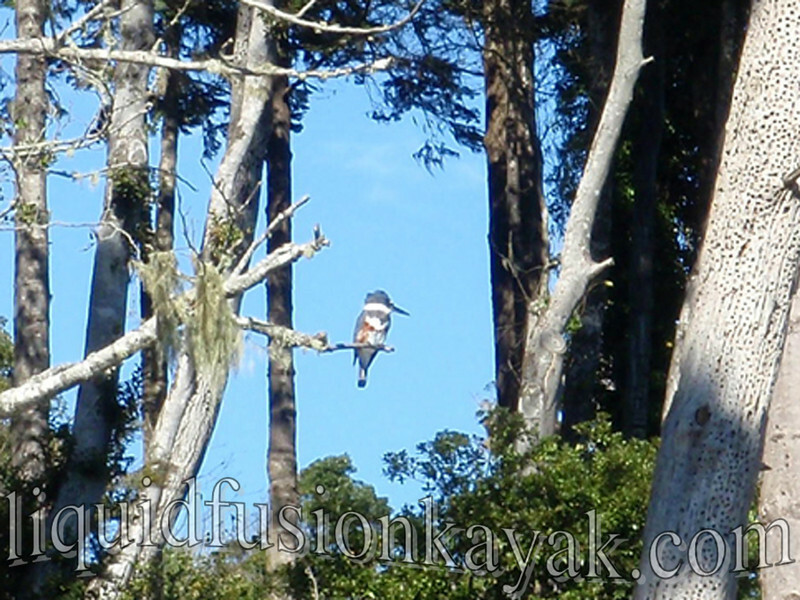 Our Mendocino Coast kayak tours and classes always have birding moments. Last week, Jeff and I made our Mendocino Coast Television Debut with a Community Service Announcement for the Mendocino Coast Audubon Society. After this one, Jeff's new nickname might be the cookie monster. 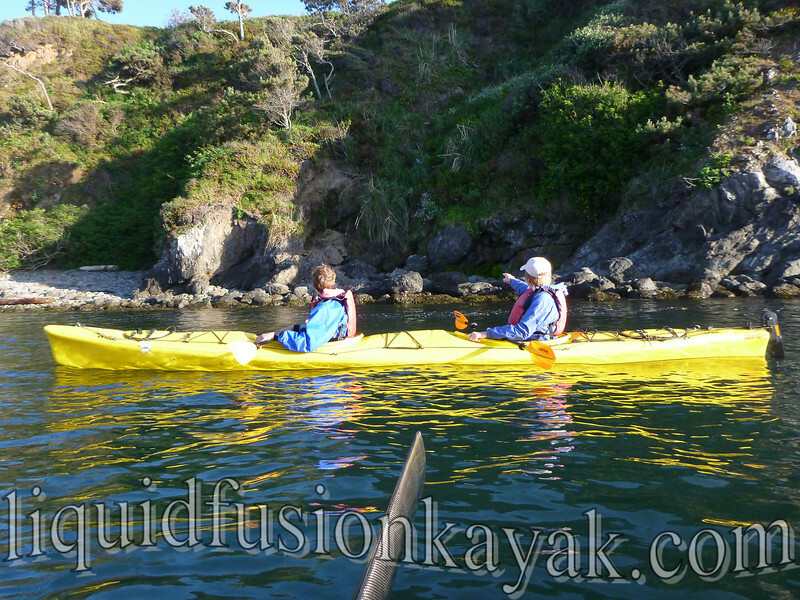 Last week we also hosted the Mendocino Coast Audubon Society's June field trip - birding by kayak on the Noyo River. This has become an annual event that many of the members look forward to each year. My favorite siting of the day was the purple martins' nesting activity around and in the Noyo Bridge. As we head into our summer season, our Sunset Bird Paddle continues to be our most popular tour. 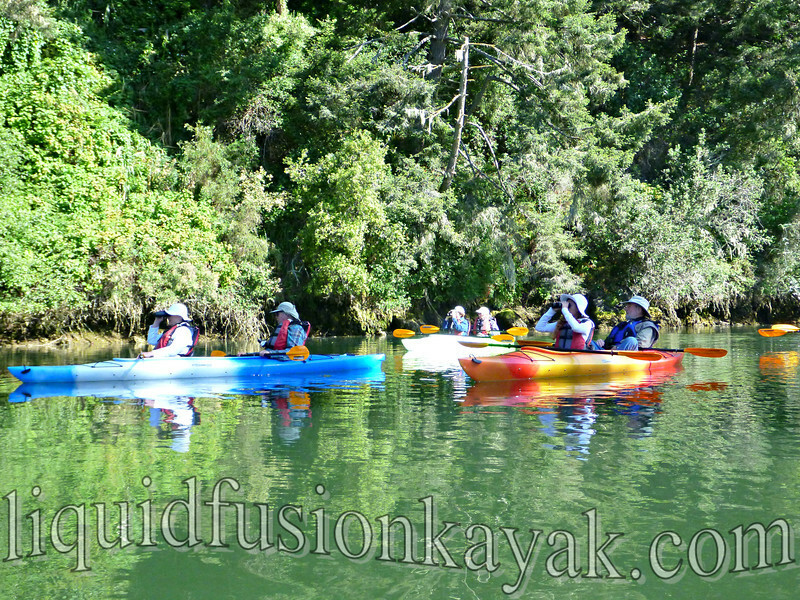 It is a slow paced, small group, kayak wildlife watching tour on the quiet waters of the Noyo River. Our guests rave about this trip. Their comments include how relaxing it was as well as how magical. Last year one of our paddlers joked that we must have the wildlife in boxes that are released on a timer as creatures keep appearing out of the landscape and water. A river otter eating a crab, a common merganser duck with 21 ducklings, harbor seal pups, a buck with velvety antlers, a seal schooling fish, a black crowned night heron and great blue heron awaiting its efforts, California sea lions, kingfishers courting . . . Whether it takes cookies or kayaking trips, we love sharing the wonders of our natural world with others.